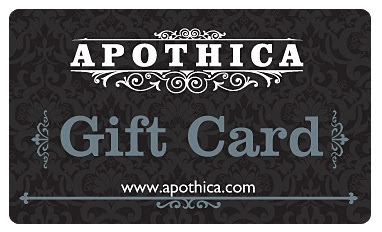 Here's a chance for you to win a $25 Gift Card From Apothica! This is a giveaway for readers of this blog, so you must be a follower through GFC. Please save SkinCareRx as a contact in your email box so that the email doesn't go to the Spam/Junk Mail folder. Contest ends 2 weeks from today- on the 12th August '11, at 11:00 pm IST. *This giveaway is sponsored by Apothica. GFC name ~ Maribel F.
I already follow u via GFC and i have written on Apothica's wall, tagging the facebook IVc page..
Facebook Name ~ Kim D.
I also signed up to receive their newsletter. wrote on apothica's wall n opted for the news letter.